The Macallan’s unwavering commitment to exceptional wood management defines every aspect of its whisky creation and the launch of the new Double Cask 12 Years Old is further testament to this. Created from the perfect balance of sherry seasoned European and American oak casks, Double Cask 12 Years Old brings a distinctive character to the fore, whilst presenting flavours familiar to both the Sherry Oak and Fine Oak ranges. 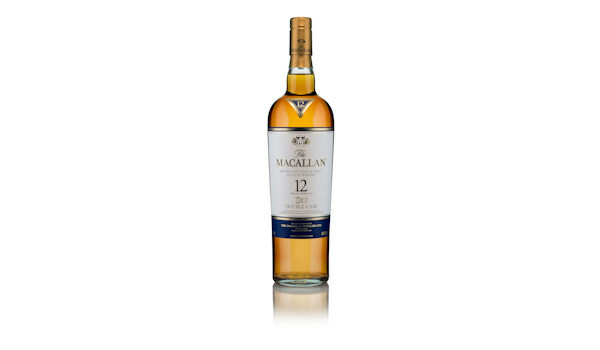 The result is a new interpretation of the signature 12 Years Old Macallan; sweet, yet balanced and honeyed in character. Exclusively sherry seasoned, The Macallan Double Cask 12 Years Old delivers a distinct American oak style, reflecting a perfect harmony of flavours and natural colour. The delicate flavour of American oak – vanilla, citrus and light oak - rises in prominence as the traditional Macallan character of rich fruit, sherry and wood spice affords a familiar back drop. The Macallan brings new oak from America across thousands of miles to Spain, where casks are crafted and sherry seasoned before traveling to our distillery on Speyside to mature for twelve years. These whiskies are then harmoniously united with those aged in exceptional sherry seasoned European oak casks. This union reveals an unmatched investment in time and extraordinary commitment to mastery for which The Macallan has been known since 1824. The Macallan Double Cask 12 Years Old is available from October 2016 in specialist whisky retailers for an RRP £55 and select on trade accounts across London.